Cultural Arts Academy Charter School at Spring Creek is a bold, new vision for public education in the East New York section of Brooklyn, New York. The mission of Cultural Arts Academy Charter School is to provide an exemplary K-12 college preparatory arts education program that promotes superior scholarship and strong cultural arts proficiency. 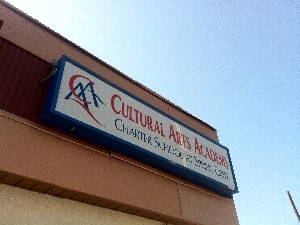 Cultural Arts Academy Charter School has personalized, print-rich classrooms and multi-sensory instructional approaches that will provide order, security, high expectations and opportunities for students to explore, discover, research and investigate. The research-based curriculum and instructional practices reflect an interdisciplinary arts-infused approach interwoven into the sciences, humanities and mathematics. The integration of the arts will enable students to think independently, reason cogently, and gain skills in decision-making, problem solving, collaboration and self-management, and assist them in mastering the New York State Common Core Standards. Our students will graduate with a Regents Diploma with Advanced Designation through the Arts.